Applicable parts: car air conditioning port. Rotation angle: double 360 degree rotation. The adjustable width of the tray is 5.8-8.8 cm. The size of the clip-on electronics is suitable for all mobile phones, navigators, MP3, MP4 and other electronic products measuring 3.5″ to 5.5″. 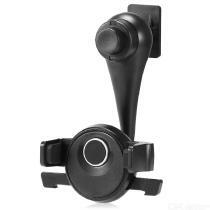 Product features: This car air conditioning port car bracket, does not occupy the position, does not block the line of sight, allowing you to hands-free calls, positioning navigation, driving safer. It can be rotated 360° in three dimensions, shockproof and non-slip, suitable for all mobile phones and other electronic products between 3.5 inches and 5.5 inches.